Amalgam Recycling - Mail Your Sharps, Inc. It is estimated that dental amalgam contributes to over half of the mercury waste entering POTWs (Publicly Owned Treatment Works). 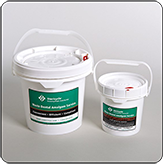 When a separator is not used and amalgam fillings are drilled, the amalgam waste that is produced is flushed with wastewater into the sewer systems. Traces of mercury contained within the amalgam can then leach into groundwater and into the environment. Typically it settles in the aquatic ecosystem, where it accumulates in high concentrations, and eventually contaminates plants and animals faster than it can be naturally reduced. Over time, animals farther up the food chain inevitably consume contaminated plants and smaller animals resulting in a process known as mercury biomagnification, in which the concentrations of mercury increase significantly. Mercury contamination is introduced to humans with the consumption of polluted fish, water fowl, crops, and drinking water. Elevated levels of mercury can be harmful to the immune system, nervous system, and enzymes in the human body. The effect of mercury poisoning can be especially prominent in developing embryos of pregnant women. An unborn child is much more sensitive to mercury poisoning than adults, and prolonged exposure significantly increases the chance of genetic abnormalities and serious birth defects. Mail Your Sharps, Inc. provides an environmentally safe solution for recycling and disposing of amalgam and other mercury-bearing materials. 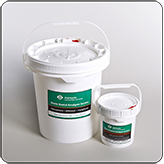 Our mercury and amalgam containers are sent to the largest mercury waste processor in the nation, where the waste is recycled safely, efficiently, and exceeds the federal guidelines. The strict measures used in the process often bring residual levels below the possibility of detection. 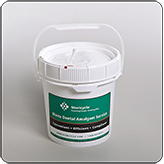 Don't forget to check out our amalgam separators!